If you want a vehicle that gives you more room inside for your passengers, pets or personal belongings, the Chrysler Pacifica Hybrid will be the perfect fit. This popular hybrid minivan’s interior has been designed to give less room for machinery and more room for people to sit comfortably and feel less confined. You can explore the Chrysler Pacifica Hybrid’s best interior features when you visit Lithia Chrysler Jeep Dodge of Billings for a test drive. With the Stow ‘n Go Seating and Storage System, you’ll be able to fold down your second- and third-row seats when no one is sitting in them to create more open space inside the vehicle. This feature will definitely come in handy when hauling large amounts of items around town. The Chrysler Pacifica Hybrid’s interior layout is also intended to make getting in and out of the vehicle easier. 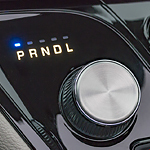 Instead of having passengers climb through the trunk to get to the third-row seats, you can lift the second-row Easy Tilt Seating lever to allow hassle-free access.